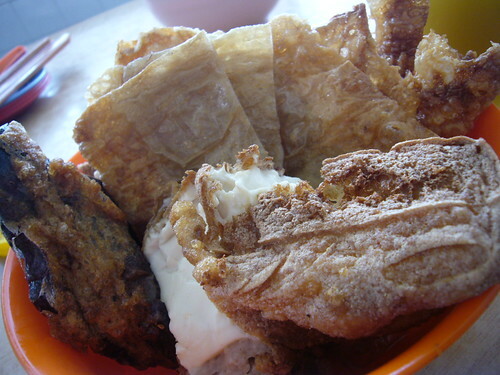 Yong tao fu, literally means tofu stuffed with fish paste or pork paste. Nowadays, the term is widely applied to variety of stuffed vegetables or deep fried bean curds. 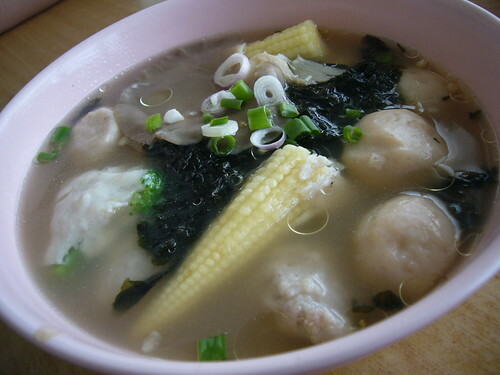 The best yong tao fu that I’ve ever eaten comes from Kwong Hong @ Gunung Rapat, Ipoh. There’s always a line of people waiting to put in their orders during lunch hours. The waiter will jotted down your order of noodles and the yong tao fu are then cooked briefly in boiling water to be served either in broth as soup or in a separate bowl for the deep fried goodies. What I like about the place? The normal variations that we always come across are oddments such as eggplants, shiitake mushrooms, bitter guard and lady’s fingers. 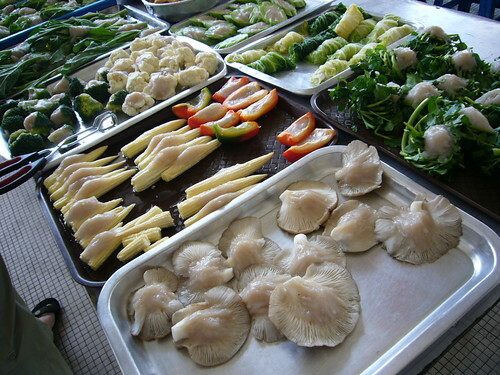 However, it seems like Kwong Hong has the ability to stuffed every single type of vegetables with the fish paste, i.e. abalone mushroom, broccoli, capsicum, kangkung, and even seaweed. The fish paste is 100% hand made with the core ingredient of Mince fish and seasoning such as salt, pepper, water and tapioca flour. Stir in one direction to get a sticky paste with a springy texture. You need to take handfuls of the fish paste and throw it against the sides of the bowl till the paste becomes springy. 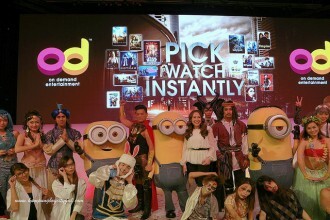 How they distinguish themselves from the rest? The secret would be the addition of some dried shredded squid that enhance the flavour of the fish paste. It involves a lot of hard work. The dried tossed version is splashed with a generous portion of sesame oil and deep fried shallots, so aromatic and delicious. My ultimate favourite would be the curry broth served with stalks of paku while the famous assam laksa is only available during the weekend. The same family run the whole shop; including the drinks and tong suis. Cincau served in a bowl, red bean tong sui, green bean tong fui, barley bean curd tong sui are selling like hot cake. Ipoh Mali and Klites who happen to be around Ipoh, do drop by Kedai Kopi Kwong Hong. For gluttons who are coming from KL, exit at Simpang Pulai toll, turn right at the traffic light, go straight all the way until you spotted a 24 hour Mcdonalds, make a U turn and turn left at the traffic light to enter into the main street of Gunung Rapat. 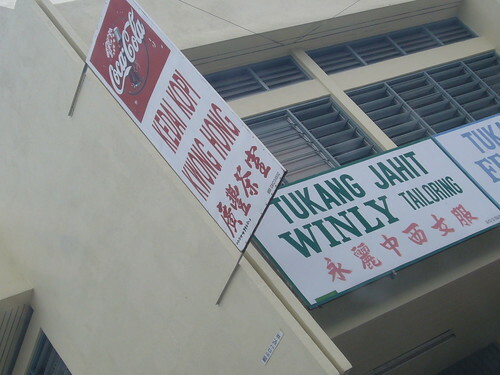 Kedai Kopi Kwong Hong is located on your right hand side. I don’t like 100% fish yong tau fu. I like those with pork in it. Better texture and taste. Hakka style. Stuffed abalone mushroom?? Stuffed Kangkung? WOW!! This is interesting. Pingback: The Innovation of “Liew” « Ipoh Mali Talak Sombong! Ehhh… I just did an article on Ipoh today. Haha. 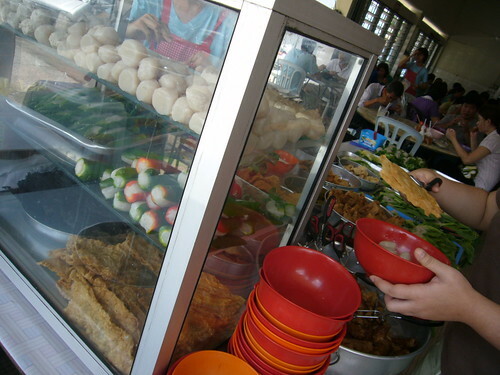 This place will be in my next ‘hit list’ in Ipoh …..
you never know until you stuff it in to yr mouth. Unbelievable. Believe me, you money worth everything comparing to any class restaurants. Try it yrself. You will get salute from yr friends you recommended. Many thanks for your recommendations. Would be great if you have the GPS co-ordinates. Cheers!